Thomas Cook is an established travel company, known for its exclusive holiday travel packages to India and abroad. This article provides information on the newly customized holiday tour of Splendid Himachal for 6 nights and 7 days from Thomas Cook. Read the article to learn more about the package and other details. When it comes to Thomas Cook, one can visualize exceptional Holiday package plans. Almost all holiday packages designed by Thomas Cook speak of quality and luxury. Thomas Cook is a leading travel company in India which offers a broad spectrum in the world of travel by offering custom designed holidays to India and abroad along with other services which relate to Travel, thus giving the traveler a chance to relax as the travel company takes care of the rest. The 6 nights and 7 days holiday package of Splendid Himachal is one such holiday package planned customized to suit your holiday needs. Listed under the category My India My Way this holiday packages allows one to explore Himachal Pradesh. Moreover being a complete customized package, the traveler has the option of changing the plan as per his needs. The day begins with your arrival at Delhi either Delhi Airport or railway station, from where you start your journey of this wonderful holiday by proceeding to Shimla. The journey to Shimla is by road and take approximate 9 hours to reach Shimla. Once in Shimla you check-in at your hotel and relax for the day. Start your day by exploring the beautiful Shimla via road. 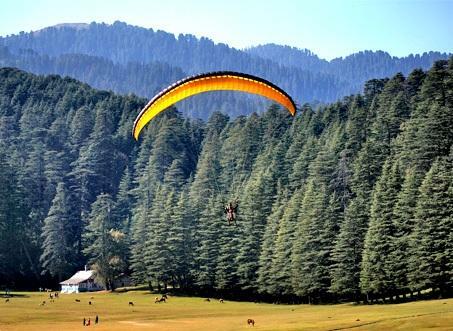 The whole day carry on excursion to Kufri, which is one of the most lovable, adventure sport destination. Enjoy the day by visiting the hiking trails, ski slopes, Naldhera's Spruce pines, Old English Cottages and the popular golf course. Relax for the day in your hotel room. Drive down to Manali from Shimla today and enroute visit the Kullu Valley. The drive is exactly 8 hours. As soon as you arrive in Manali check-in at the hotel and enjoy the rest of the day at leisure. 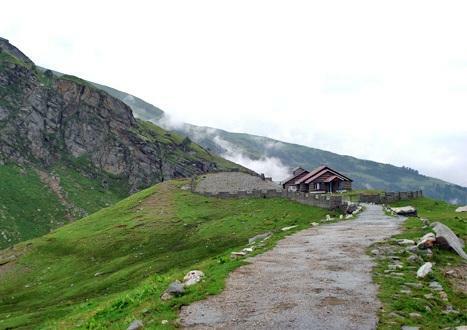 The day begins with a enjoyable drive to one of the most popular Rohtang Pass which is around 51 km from Manali. Once in Rohtang Pass, enjoy the excursion. Relax for the day in your hotel room at Manali. The whole day spend visiting the most important and famous places in Manali including the Vashisht Kund, Manu Mandir, Hadimba Temple and also the Naggar Art Gallery. In the afternoon enjoy the all time favorite shopping sessions in Manali. Evening spend at leisure and relax for the day in the Manali Hotel. Today you depart for Nalagarh by road, which is a 9 hours drive from Manali. Enroute you will be visiting the famous Kullu Shawl Factory. Check-in to the hotel room in Nalagarh and relax for the day. Today this beautiful journey concludes as you drive down to Delhi from Nalagarh (7 hours drive) and continue further to your hometown. Travelers will have to spend on shopping, tickets for leisure activities and also entry tickets for whatever they opt for.